REDUCED! Multi-faceted building toy for creative play. 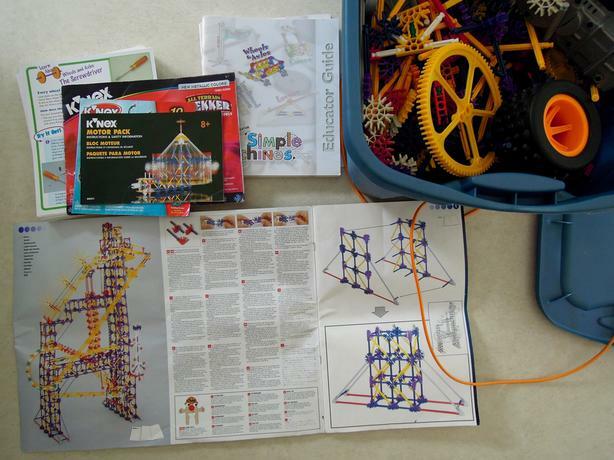 One BIG box of K'Nex! Selling at far below replacement value. Clean and in good condition: no smoke, pets, or odours. Thousands of pieces: enough for many children to build all at once. Includes sets for Pulleys, Gears, Levers, Wheels & Axles, and Inclined Planes - plus several other building sets we purchased separately. Working 12-volt motor. All instruction booklets and teacher's guides included. Excellent for classroom, playroom, or homeschool use - or grandma & grandpa's house. A great STEM toy for grades 1 through 8. Ideal Christmas gift! Location: Central Saanich, East Sooke, and limited dates in Cobble Hill.